Please contact us on info@dyscover.org.uk for more information. The wonderful sunshine added to the pleasure of our varied summer holiday programme. A wonderful way to communicate with little or no speech and show expression through photography. 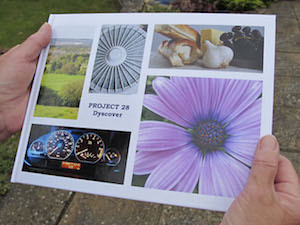 A member led photography club commences every summer as part of the Dyscover summer activities programme. 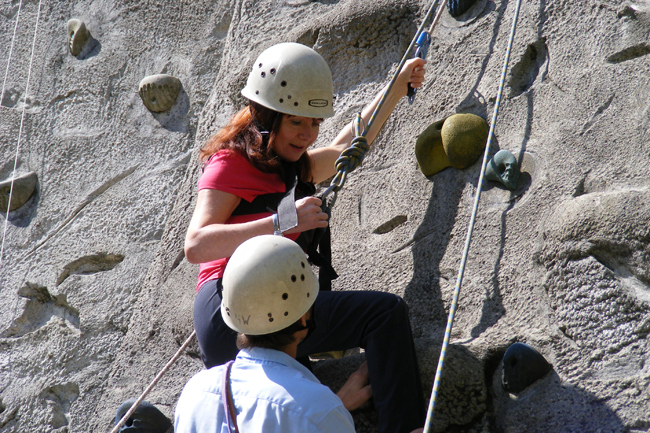 With a mix of theoretical and practical aphasia friendly activities as well as a range of social themed field trips – there’s usually something for everybody to enjoy. 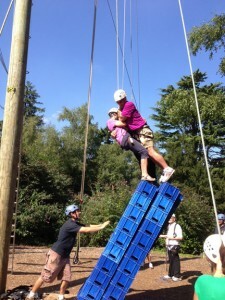 Harnesses, ropes and helmets were needed for the team challenge at High Ashurst outdoor activity centre: to build a tower of crates while three people stood on it. Courage, cooperation and trust were essential. Demolishing a tower was easy! 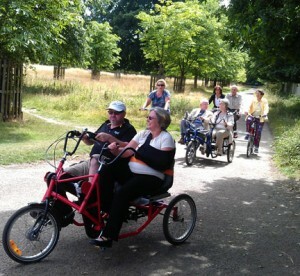 There was just enough cloud and breeze to keep people cool as they rode round Bushy Park on the special machines provided by Companion Cycling. Atkins Community Fund kindly met the costs of the day. 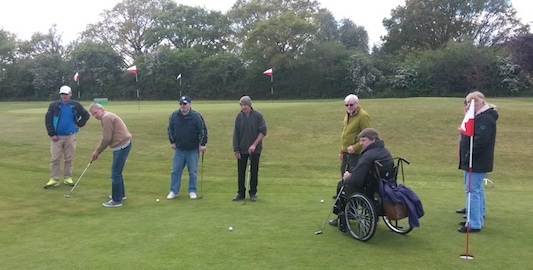 After an hour’s teaching from the pro at Horton Golf Course, all ten members were hitting the ball well.